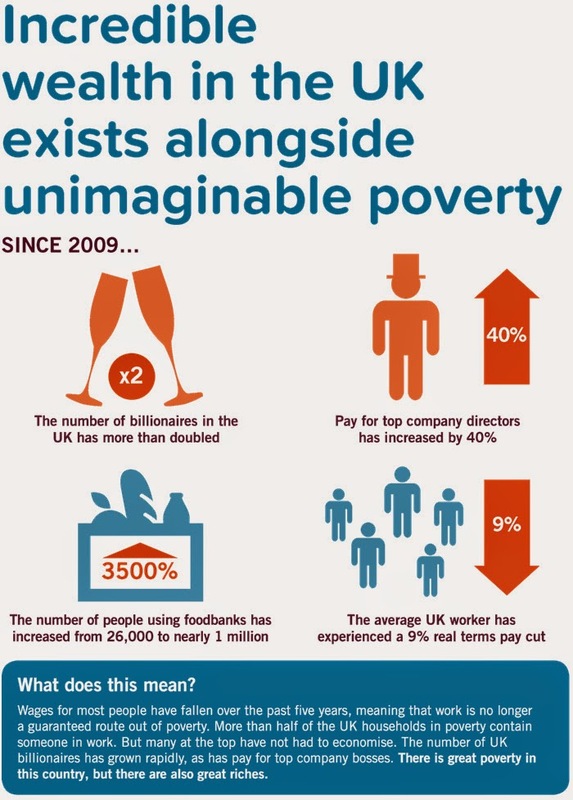 John's Labour blog: "Incredible wealth in the UK exists alongside unimaginable poverty"
"Incredible wealth in the UK exists alongside unimaginable poverty"
Check out the latest Inequality Briefing "Since 2009 executive pay has soared and the number of billionaires has increased, while food bank use has rocketed and pay for ordinary workers has fallen". If you want to really do something about this - then vote Labour. If you want inequality to carry on and get even worse - then vote for anybody but Labour or don't vote at all.